Drug abuse constitutes one of the most serious problems besetting the country today. Despite earnest efforts to prevent and control drug trafficking and abuse, the country is still confronted by a dreadful and long-existing drug problem. Everyone from the upper echelons ofgovernment down to the average citizenry, recognize the constant threat posed by drug abuse and the insidious social and financial consequences brought about by drug trafficking. Through the efforts of the national governemnt and the participation of almost all segments of society, the fight against drug abuse was achieved with a growing levelof concern manifested among government officials, community and religious leaders, educators and parents, and most of all, the youth who remain the most affected. The youth are the most affected by this, because this period of their growth is characterized by physical, emotional and social changes. Thus, a teenager is confronted by new problems, challenges and needs. One such need is the desire to gain acceptance in a group which may lead him to trynew things and experience the use of prohibited drugs. 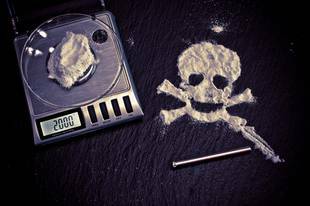 This article aims to provide students with the necessary knowledge regarding the dangers of prohibited drugs such as amphetamines, shabu, ecstacy and cocaine. Some people try drugs becasue they think they can gain acceptance from their peers. Others do so in an attempt to be more like their friends who do the same thing and to feel they belong to the group. In some cases, a person's peers might challenge or dare him to try drugs. Such influence on a person's behavior is called peer pressure. People sometimes abuse drugs for other reasons. These include: curiosity, boredom, wanting to seem older or wanting to take a risk, trying to get attention, or trying to escape a problem. What they don't realize is that they only make their problems worst. 1. Conflict with self, friends, parents, teachers, etc. 1. Promptly identify daily problems. 2. Consult reliable sources for opinions. 3. Recognize your own strengths and weaknesses. 4. Analyze facts and consider possible solutions and alternatives. 5. Act by using the plan that seems to work best. 6. Learn to live with the solution. 8. Learn to accept a moderate amount of anxiety and frustration as normal. 9. Make a decision not to use or abuse amphetamines or other drugs as a means of escaping life's problems.